We here at the Newbs blog are preparing for a new event that we’d like to share with everyone in the community. We’ve decided to call it “Meet the Admin”, where you will get a chance to ask (almost) anything and all questions of the admins of our servers. Ever wondered what Crap’s favorite ice cream is? Ever thought about what sports Octo likes to play? Ever wonder how JiB learned those sweet dance moves? This is your chance to find out those answers and more about the admins that help us run Newbs. This Q&A will work much like a Reddit AMA, where we will be opening up a thread to all of you to ask any and all of your questions. You may have seen examples of this earlier on the forums but if you haven’t, it’ll go something like this: We will make a post on the forums, you guys will get a chance to post on the thread asking whatever question you like, then the person answering will quote your question with their answer, so be sure to keep an eye on the thread. Sounds simple? You bet! All you have to do is come up with a question you want answered and make sure to follow the thread and blog posts to see the results. The more questions we get, the more everyone can get to know the admins. 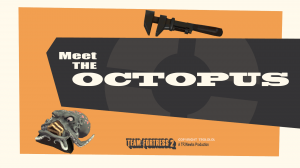 For the first Q&A, Octo will be answering your questions. In the interest of time and making sure people aren’t locked into something forever, after the first question is asked we’ll be limiting this to a period of 2 weeks. After which, we’ll pick our favorite and most interesting questions, and post a more detailed interview here with a vote on who should be next. We’ll keep you updated on who is getting ready for which weeks, so keep checking out the blogs for news and updates. The more communication the better I say and giving you guys and gals direct access doesn’t get much better than that. This entry was posted on Sunday, March 9th, 2014 at 2:46 pm	and is filed under Uncategorized. You can follow any responses to this entry through the RSS 2.0 feed. You can leave a response, or trackback from your own site.